The Illinois Workers Compensation Act (820 ILCS 305/29) requires the Department of;Insurance (the Department) to annually prepare and submit a written report detailing the;state of the workers compensation insurance market in Illinois to: the Governor, the; Chairman of the Commission, the President of the Senate, the Speaker of the House of Representatives, the Minority Leader of the Senate, and the Minority Leader of the House of Representatives. Section 29.2 of the Workers Compensation Act (the Act), entitles Insurance Oversight is organized into two distinct areas. Section 29.2(a) addresses issues and conditions primarily related to the overall market, while Section 29.2(b) of the Act addresses claims specific information reported by individual companies to the Department. 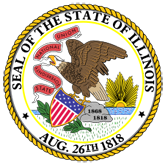 This report examines both aspects of the Illinois workers compensation market.